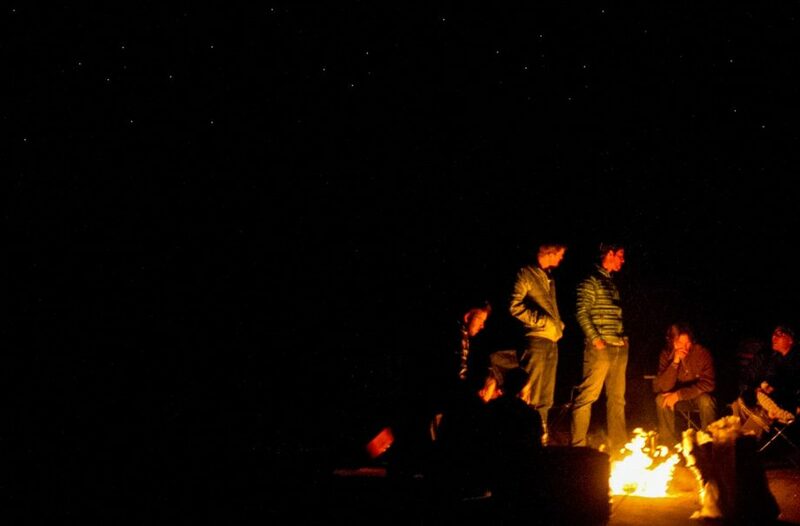 Enjoy a 5 day Grand Canyon hiking trip exploring and camping beneath the stars on the Grand Canyon’s North and South Rim. 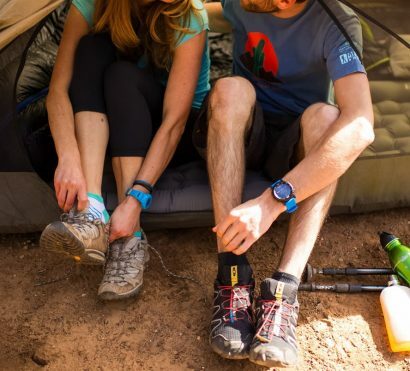 On this adventure, expert guides help lead you on Grand Canyon’s most famous hiking trails, cook delicious meals, keep you comfortable in camp, and take away all the stress of visiting the Grand Canyon so you can just enjoy it! By visiting and camping on both rims of the canyon, we gain a unique perspective and understanding of the canyon that most don’t experience. 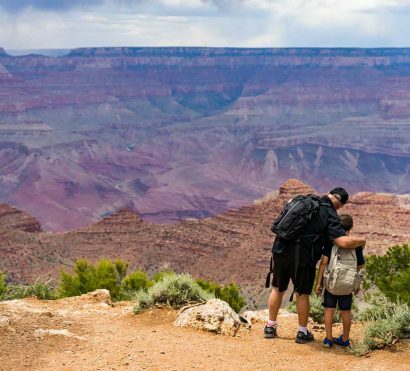 Explore the best of the Grand Canyon's South and North Rim on this 5-day hiking trip. 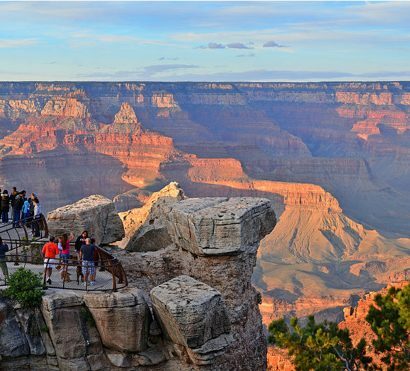 On this 5 day Grand Canyon hiking trip adventure we explore the popular and iconic South Rim and the more scenic North Rim of Grand Canyon National Park. On the South Rim we’ll get to experience the historic tourist destination in a way that few travelers do. By dropping below the rim and hiking into the canyon’s depths, we are among the one percent of visitors that take their adventure to the next level. From the South Rim we’ll head east to Lee’s Ferry to cross the Colorado River to the North Rim. 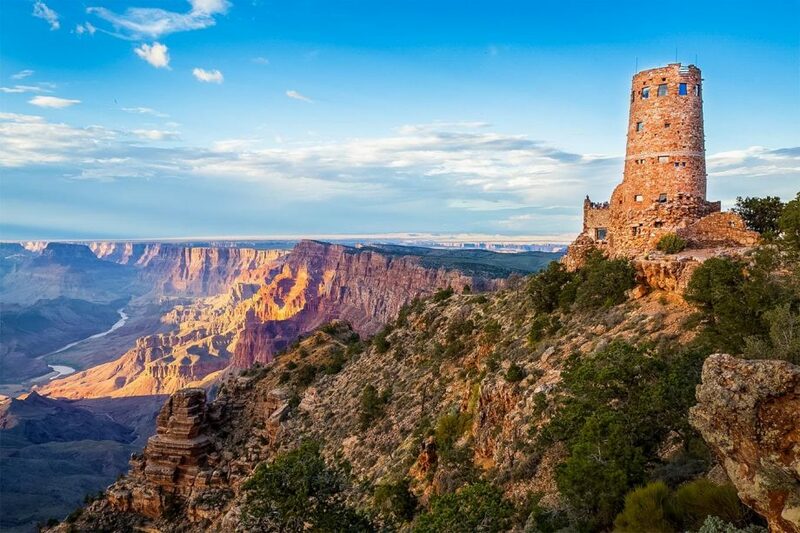 Compared to the hustle and bustle of the South Rim, the North Rim is a more solitary experience, very few Grand Canyon tours and packages visit the North Rim. 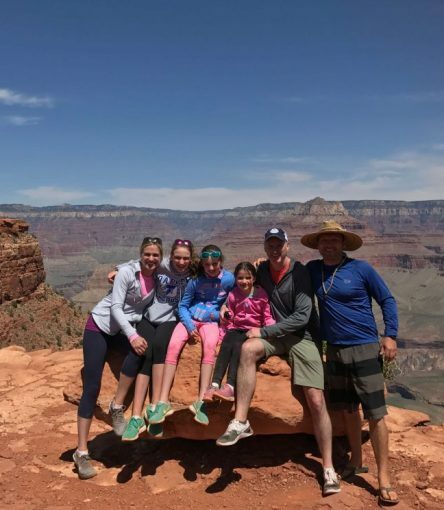 While there, we get a whole new perspective on the Grand Canyon and will hike the North Kaibab Trail as well as explore the viewpoints on the rim. Trip End: Finishes in Scottsdale, AZ between 5-7pm on day 5. 7:00am – Today we begin the hiking trip by shuttling from Scottsdale/Phoenix to the South Rim of Grand Canyon National Park. 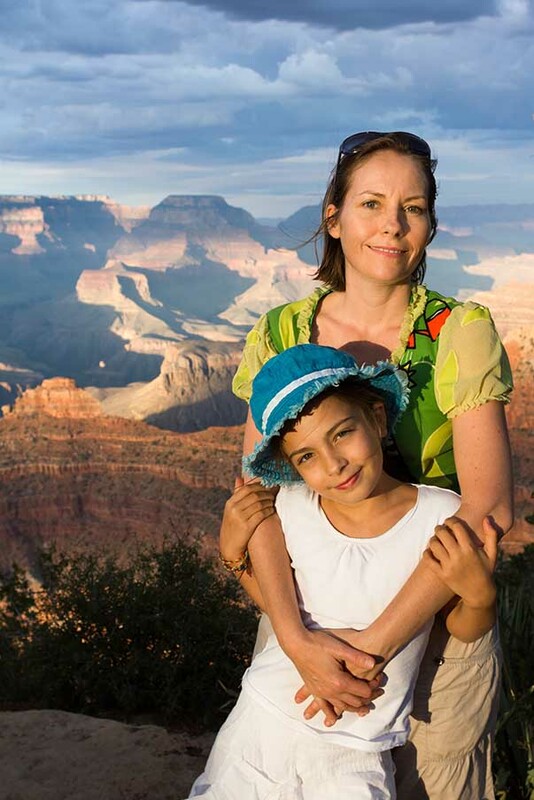 Upon arriving, we will visit iconic Mather Point where we’ll have our first lunch with a view. 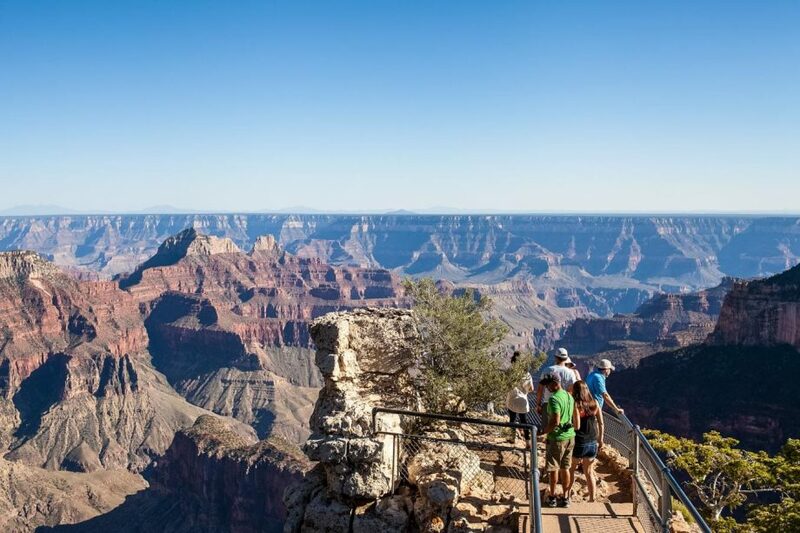 From Mather Point we will stretch our legs with an easy hike on the Rim Trail and soak up some incredible canyon views on our way to the geology museum and on into Grand Canyon Village. Within Grand Canyon Village we’ll take time to visit Kolb Studio and the El Tovar Hotel, a classic Grand Canyon lodging option. After we’ve had a taste of the canyon and the history we’ll head into our camp at Mather Campground to set up our temporary home and have a hearty dinner prepared by your guide. Today we start with an early morning paired nicely with a delicious breakfast in camp. 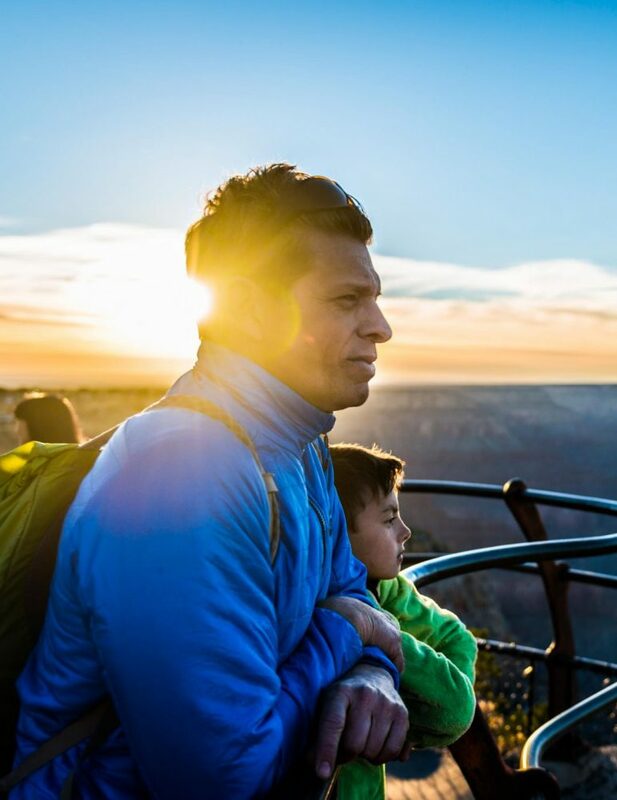 We’ll get a jump on the day to get the most out of our trek down the famous Bright Angel Trail. With a fair bit of shade and seasonal water availability, the amenities on the Bright Angel Trail make for a comfortable and manageable day-hiking trail for most. We might make it all the way down to Indian Garden at an impressive 4.6 miles and 3,040 vertical feet down into the grandest of canyons. There are several options to turn around before reaching Indian Garde if we choose, including 1.5-mile Rest House and 3-mile Rest House. Indian Garden is a common camping destination for backpacking trips and was once home to the Havasupai Tribe who still to this day live within the canyon walls, though no longer in this part of the canyon. Indian Garden is an excellent spot for lunch before starting our ascent. In the Grand Canyon the saying goes “down is optional, but up is mandatory” so we’ll head right back up the Bright Angel Trail and back to the rim. Though today’s hike can be challenging, the overwhelming feeling of accomplishment upon reaching the rim is palpable. 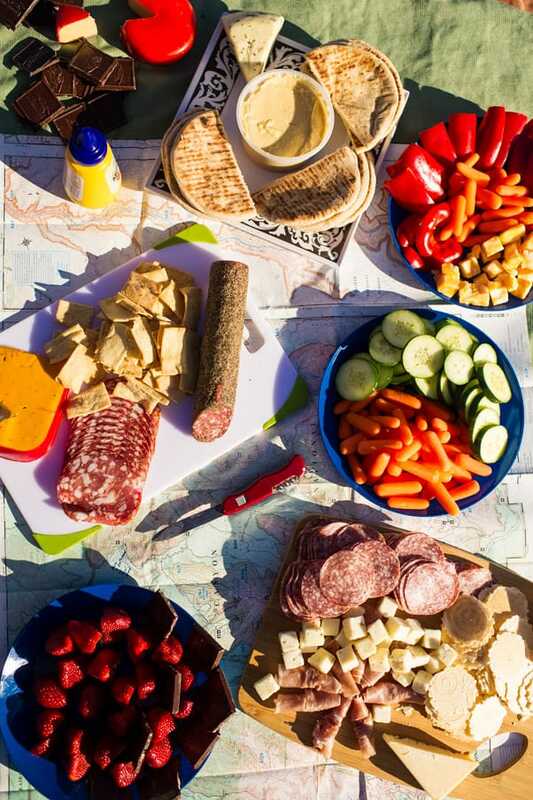 Once back to camp your guide will prepare another great meal and get you ready for Day 3 of your guided hiking trip. This morning, we get an early start to catch sunrise over the South Rim before having breakfast and breaking down camp. We’ll have a short transfer out to Grandview Point to start our hike down the Grandview Trail. This hike will give us a sense of solitude and stunning views of the inner formations of the canyon. We will hike just over a mile to the Coconino Saddle, and will lose an impressive 1,600 vertical feet! This trek will surely loosen up any sore muscles you have from hiking the Bright Angel Trail. After topping out, we have a short drive to the Desert View Watchtower where you can explore while your guide prepares lunch. The Watchtower was designed by Mary Colter and is an impressive 70-foot stone structure that winds its way into the skyline. Within the tower there is a wealth of murals depicting several Hopi traditions and stories. Following lunch, we travel on to Navajo Bridge near Lee’s Ferry where we can get an up-close view of the Colorado River, after which we make our way to the north rim of Grand Canyon National Park. After setting up our camp, there is an option for a short sunset walk to Bright Angel Point. 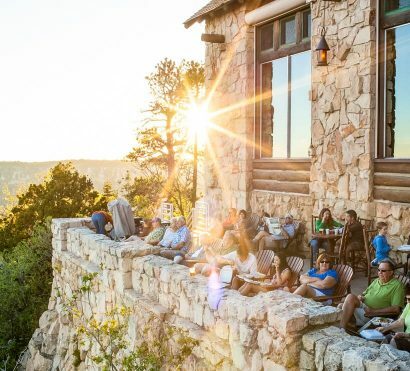 Settle in for another delicious dinner before enjoying the starry night of the remote north rim. After breakfast this morning, we’ll take a short drive to the North Kaibab Trail, the main artery for hikers heading from the north rim into the inner canyon. Today we descend 800 vertical feet into the canyon to Coconino Overlook for great views of not only the canyon but also of the San Francisco Peaks, giving us over 10,000 feet of vertical scenery. Once we return to the rim we head out to Cape Royal for lunch and the opportunity to explore a natural arch, Angel’s Window. After lunch we take a forested hike out to Cape Final where we can see one of the Grand Canyon’s more iconic formations, the Vishnu Temple. Day’s end will find us at the rustic North Rim Lodge for a celebration dinner. After breakfast and breaking down camp we say goodbye to Grand Canyon and hop back into the van. Though we do have a lengthy drive ahead of us, there are still sights to see and worthy detours. Our drive will bring us to two different national monuments, along the way we will stop and have a picnic lunch. First on the docket is Wupatki National Monument where ancient pueblos dot the landscape between the high country of Flagstaff and the lower Painted Desert. Just a short drive past Wupatki is Sunset Crater National Monument. Here we experience first-hand both how destructive and adaptive nature can be by exploring ancient lava flows and cinder cones, hearkening back to a time when the area was volcanically active. Waving farewell to Sunset Crater, we arrive back to the signature cacti of Scottsdale/Phoenix between 5:00 – 7:00pm. Cell service: The Grand Canyon area has very limited cell phone service, you should expect to be unreachable by phone. Electricity: While camping at Grand Canyon, the only electricity is in the public restrooms at the campground. Bring a portable phone charger so you’re not reliant on this power source. On this trip we camp in public National Park campgrounds that provide the best access to trails and canyon sights. We select sites with great bathroom and shower access, but we will have other travelers as neighbors and can occasionally hear the noise of cars passing by the campground. 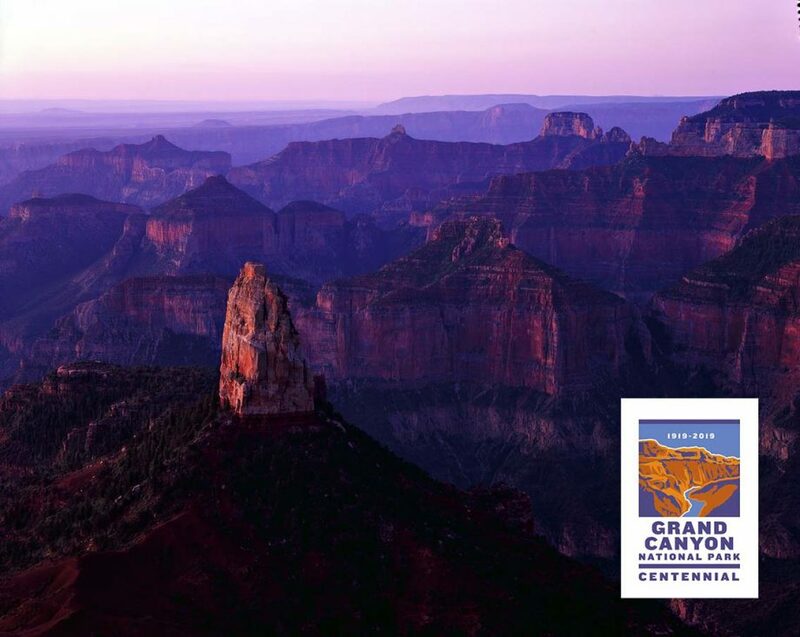 This trip involves long van transports, expect to be in the van about 4-4.5 hours on the way to the South Rim and about 6-6.5 hours on the return from the Grand Canyon’s North Rim. 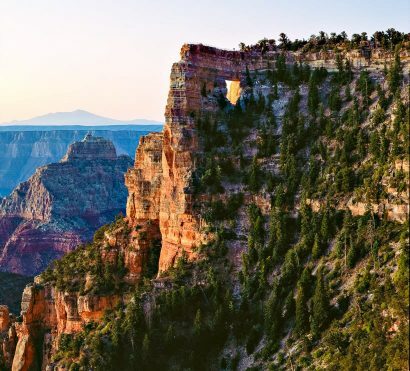 This trip hikes some of Grand Canyon’s most classic trails, most of which involve downhill hiking with some exposed cliff edges. The Grandview trail on day 3 is very steep and can be quite challenging.